This book is for PREORDER- books will be ready for dispatch around mid November. The Body Rescue Vegan Plan book. I am really excited to be launching my brand new book- The Body Rescue Vegan Plan. In 2017 I started a Plant based diet and I am loving the journey so much, I wanted to share a new healthy way for other fellow Vegans and people wanting to dip their toe in. 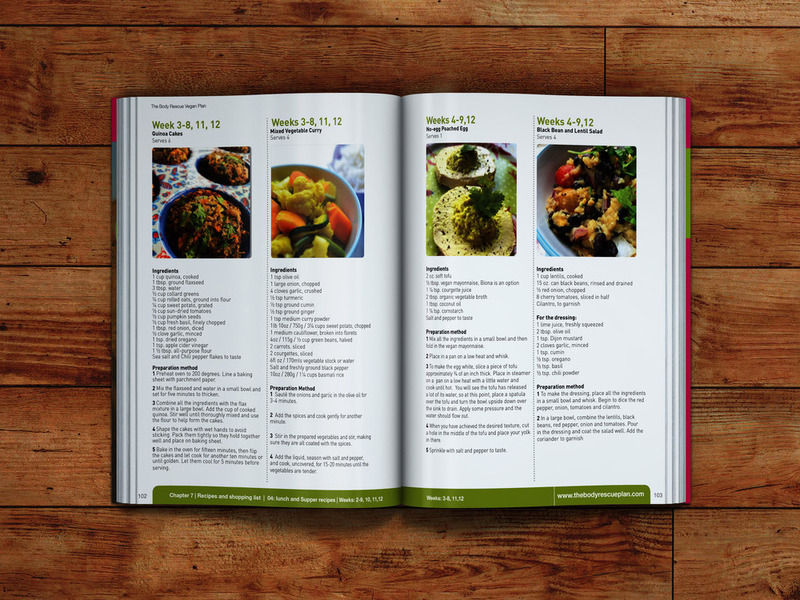 It was really important for me that I follow a Vegan plan where I got as many nutrients as possible, so I also wrote The Body Rescue Vegan plan book, with loads of delicious Vegan recipes. The Body Rescue Vegan plan is also for you if you are a 'not so healthy Vegan', who needs support to looking and feel amazing. There are over 70 delicious, healthy, sugar free and many gluten free VEGAN recipes too. This book is for you if you are thinking of changing to a plant based diet but you are nervous about the transition. This book is for you if you want to try a Vegan diet even if just for 12 weeks, to be safe in the knowledge that you are doing it with all the right nutrients going into your body. This book is also helpful as a guide if you have family members that have changed to a Vegan lifestyle and you want them to be nutritionally fuelled. 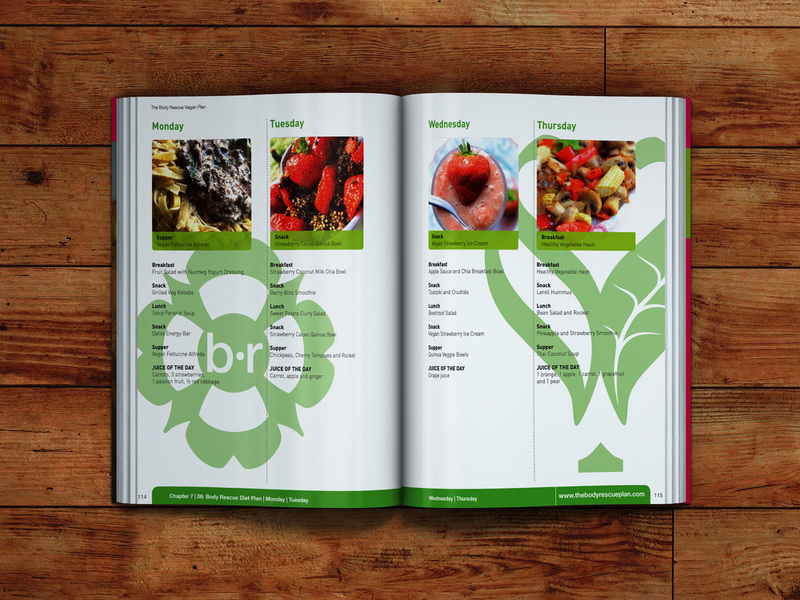 The Body Rescue Vegan Plan also has all the same information as my best selling book The Body Rescue Plan, but has been changed with the 12 week diet to suit a plant based lifestyle. The Body Rescue VEGAN plan has..
• A simple VEGAN diet that is easy and sustainable. • 6 Exercise routines that are fun and progress as you improve. • 1 Yoga relaxation routine. • 6 meditations to help you focus, relax and gain your goals. • 70 delicious VEGAN recipes that are delicious in texture, taste, colour and smells. And you can lose up to 10lb in the first two weeks and then 1lb to 3lb a week thereafter until you reach my maintenance programme. Not only that, but your body and your mind can improve in every way so that you feel like a new person. A person in control, who has beauty, energy, health and love. All you have to look forward to is a fitter, happier, more gorgeous VEGAN version of you!